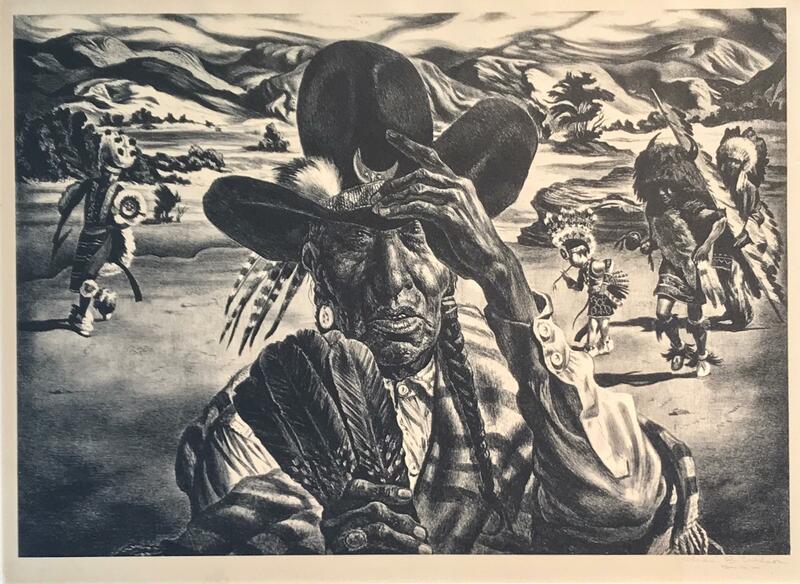 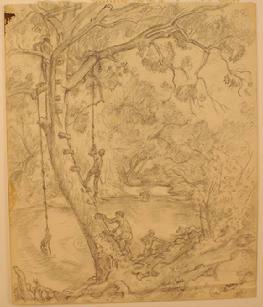 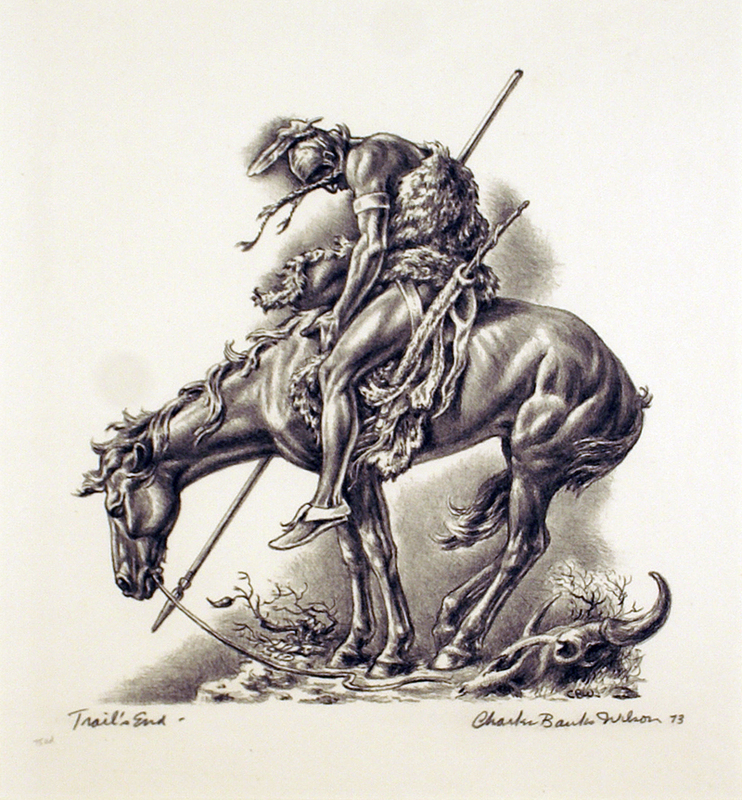 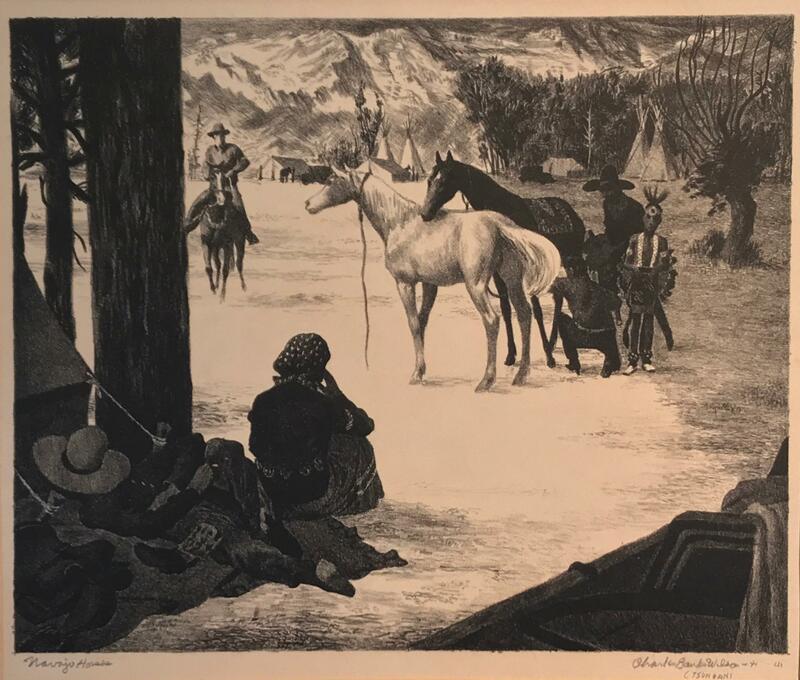 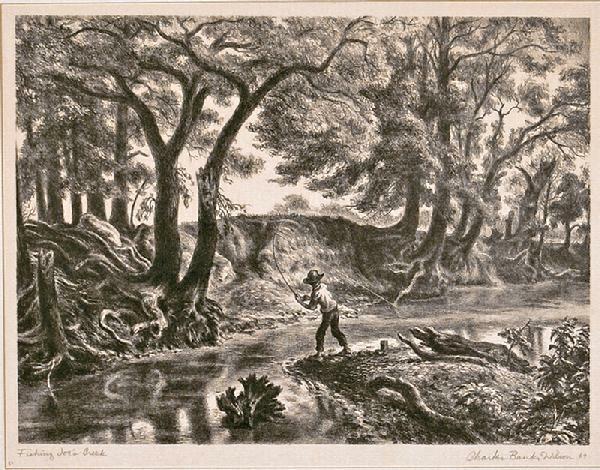 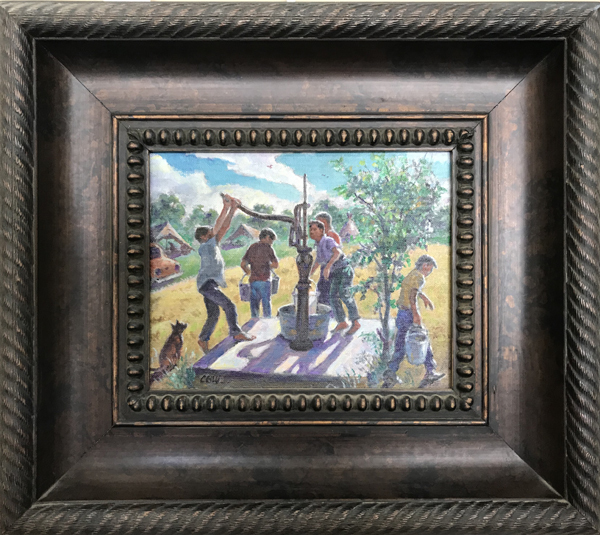 Charles Banks Wilson, "The Squirrel Tree"
It has been challenging to maintain, on our website, an updated inventory of new arrivals and recently sold lithographs by Charles Banks Wilson. 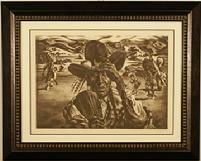 Please email or call for current availability of his works or to request a particular item. 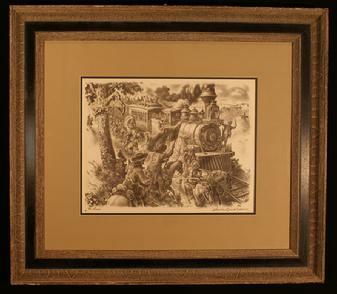 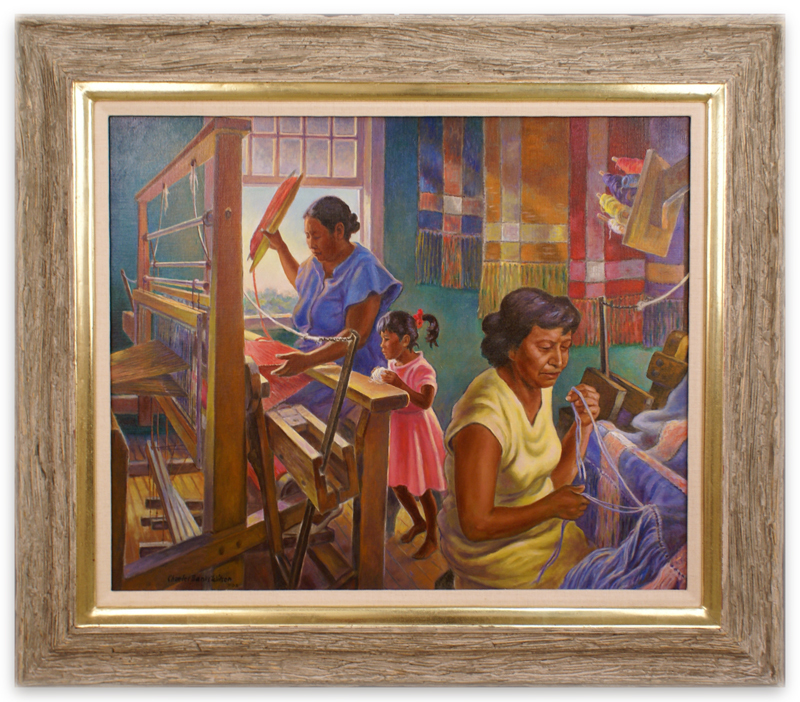 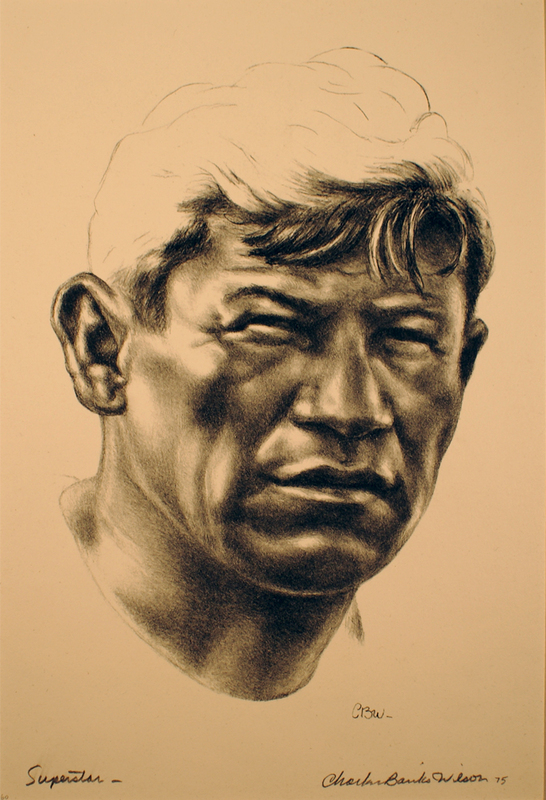 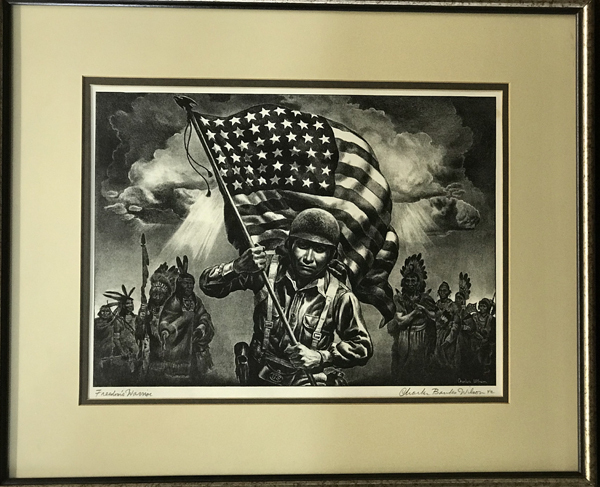 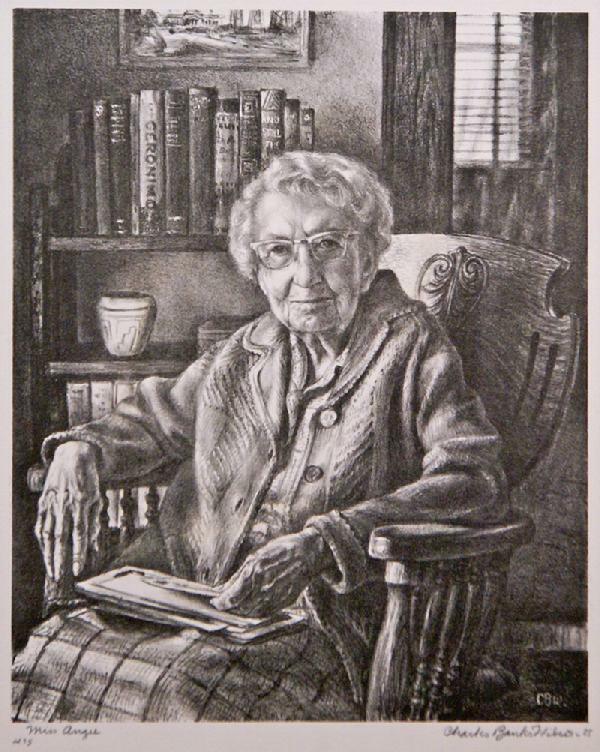 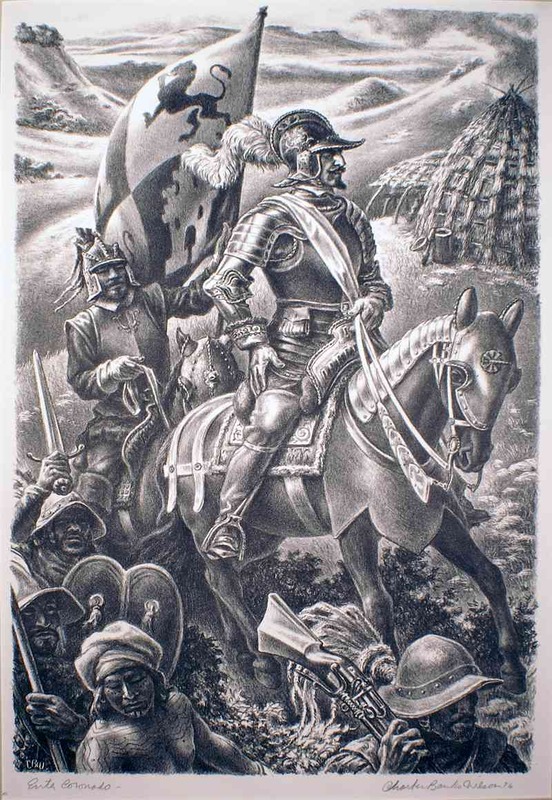 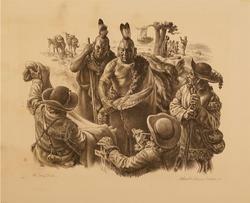 We are interested in consigning and purchasing Mr. Wilson's work. 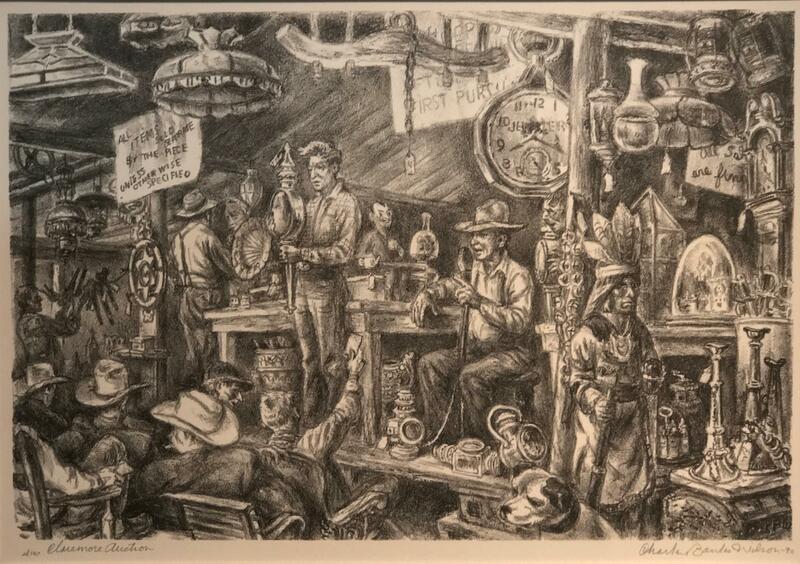 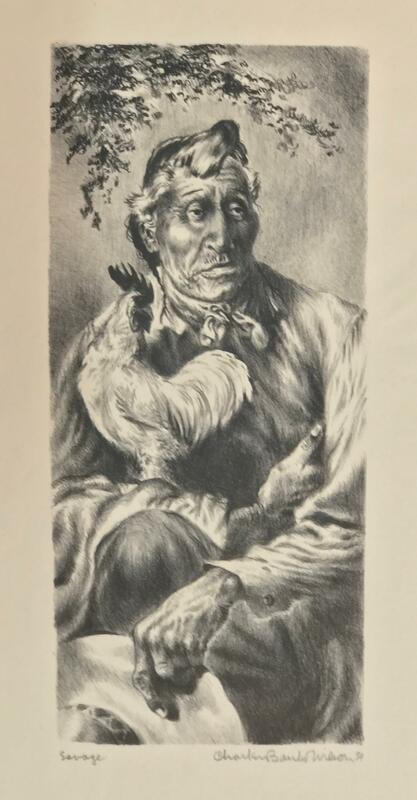 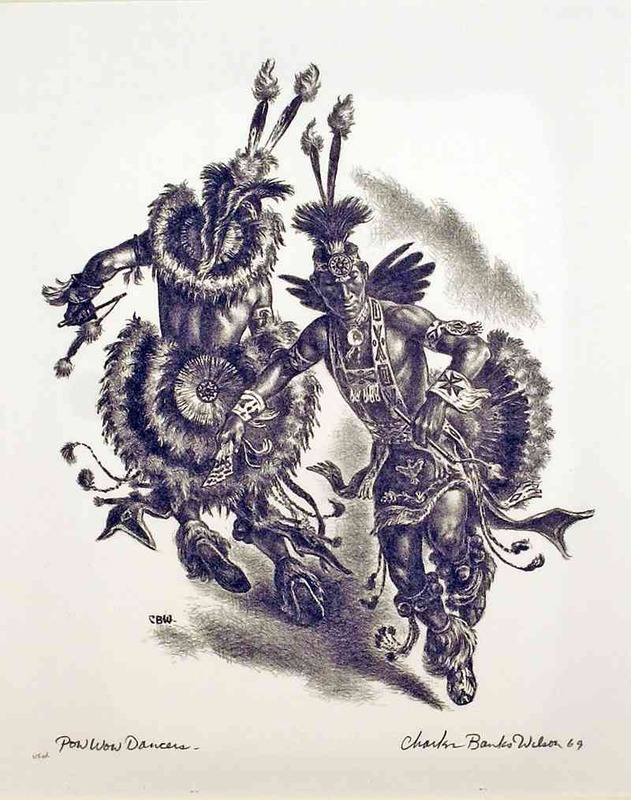 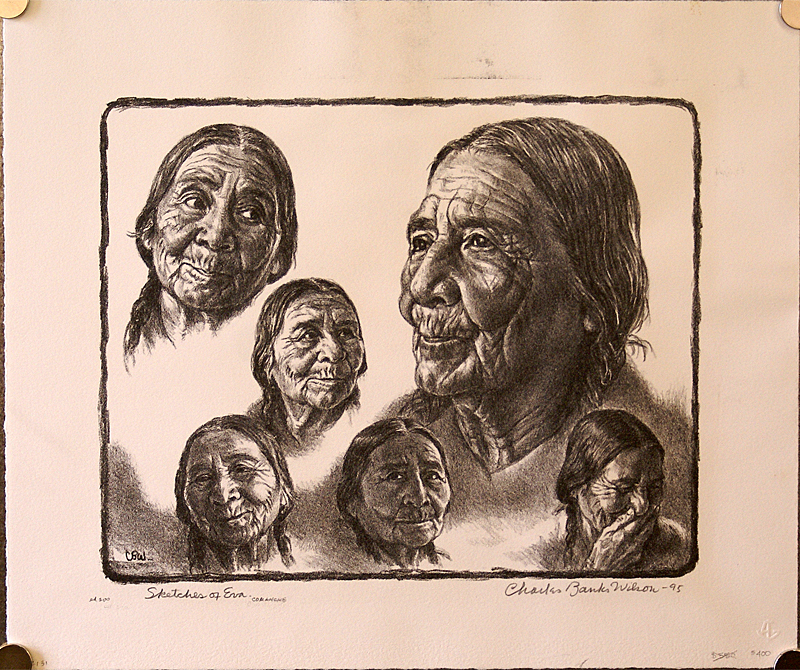 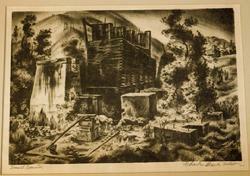 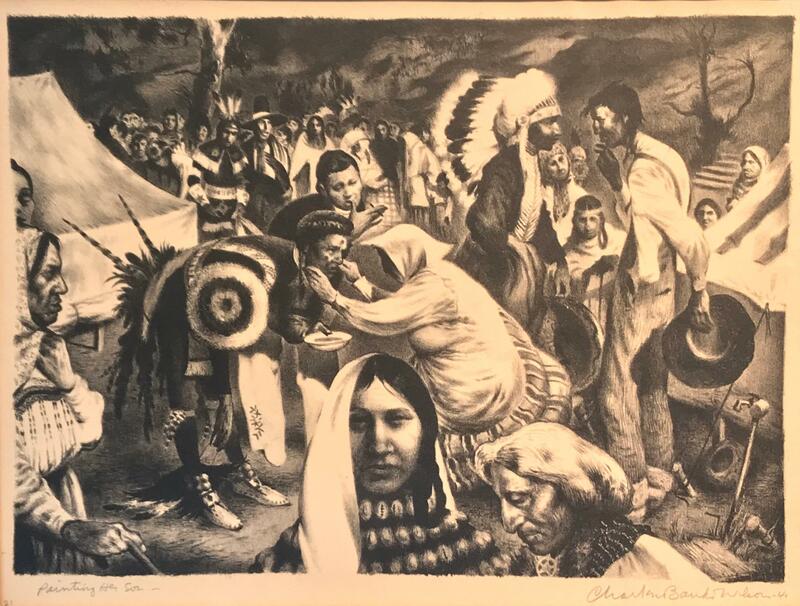 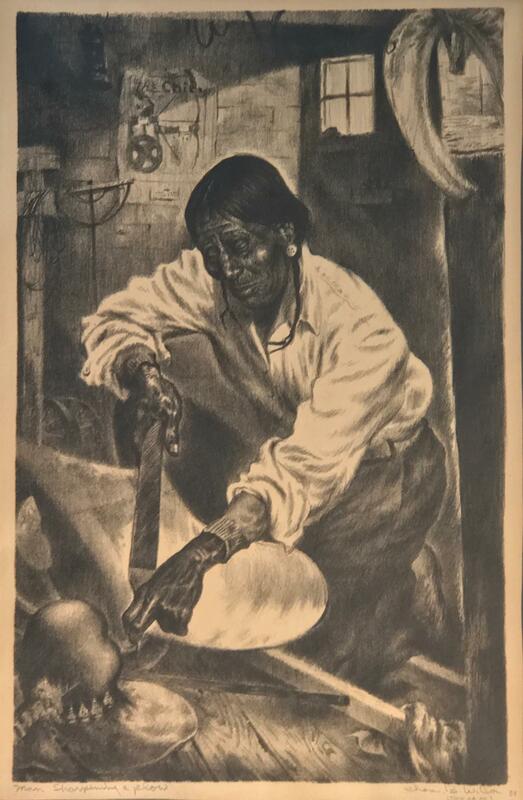 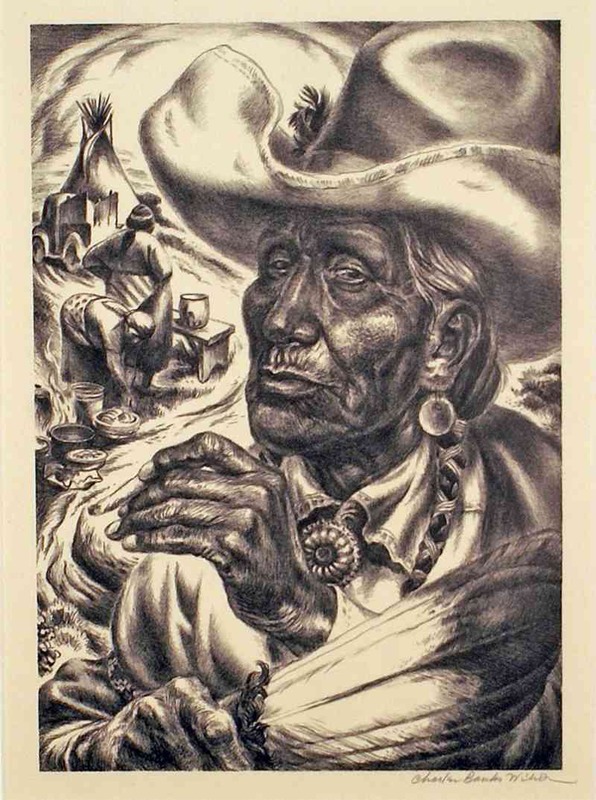 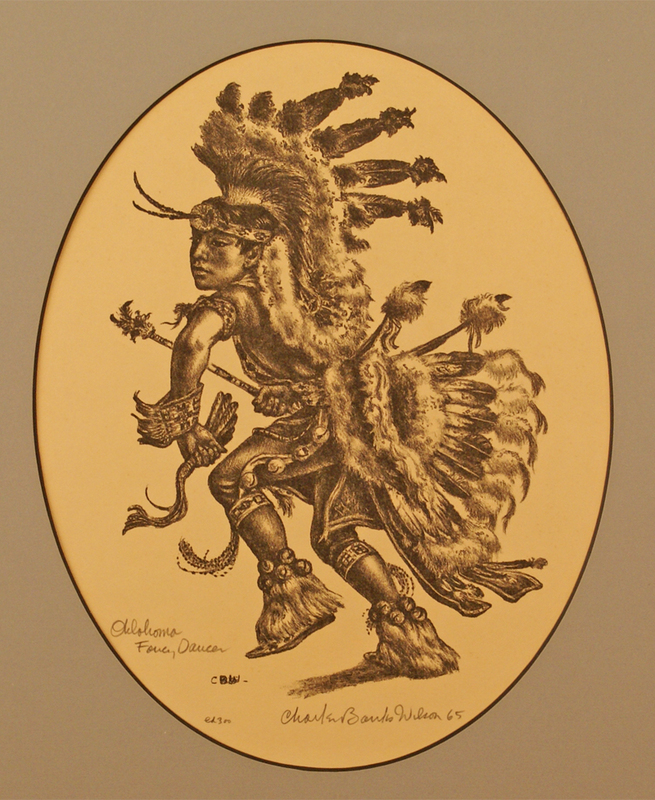 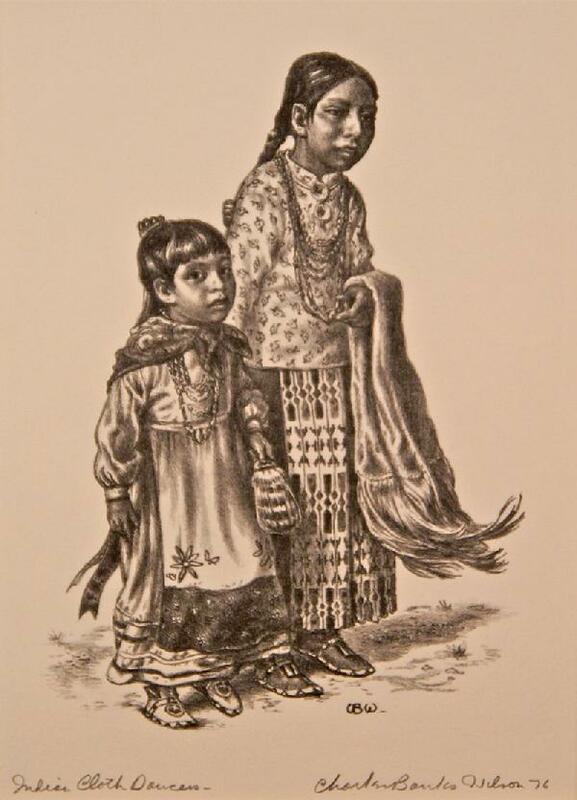 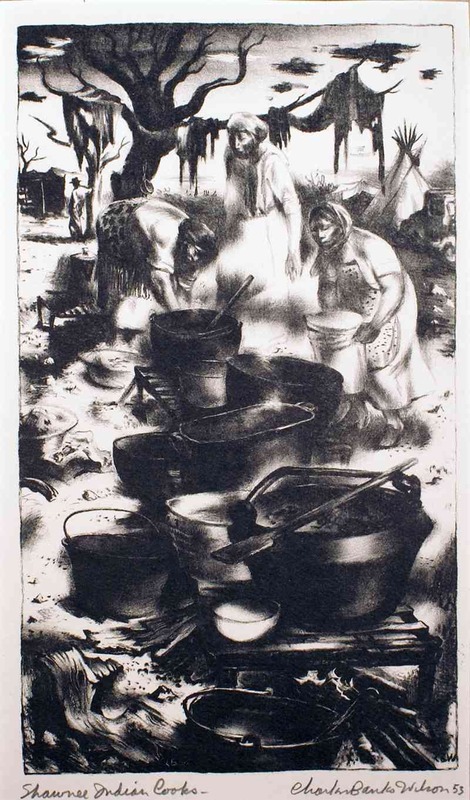 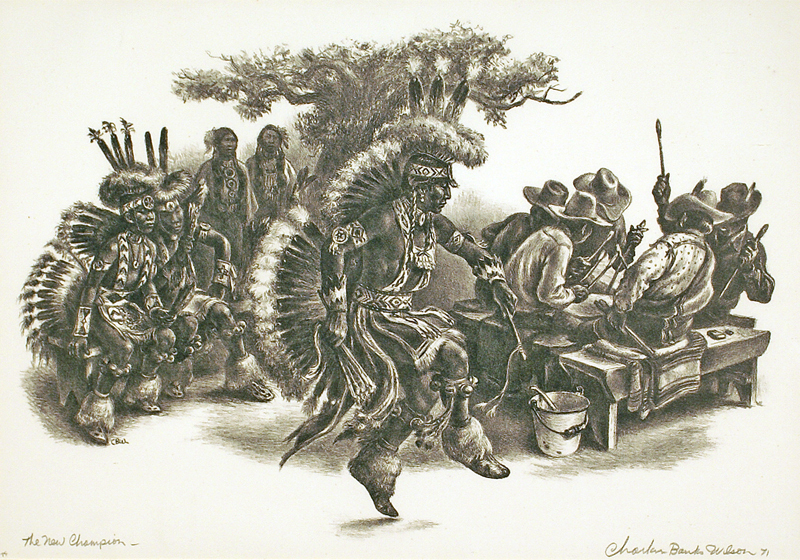 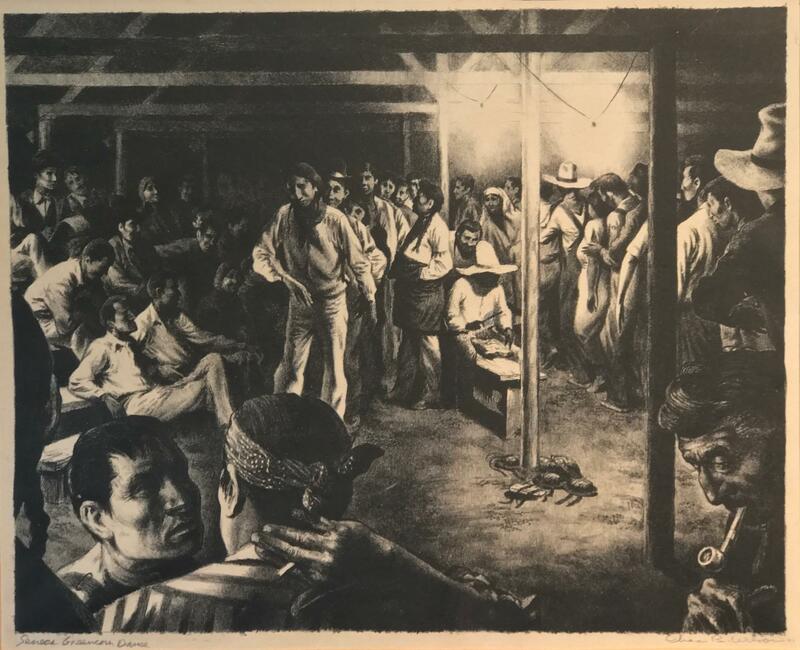 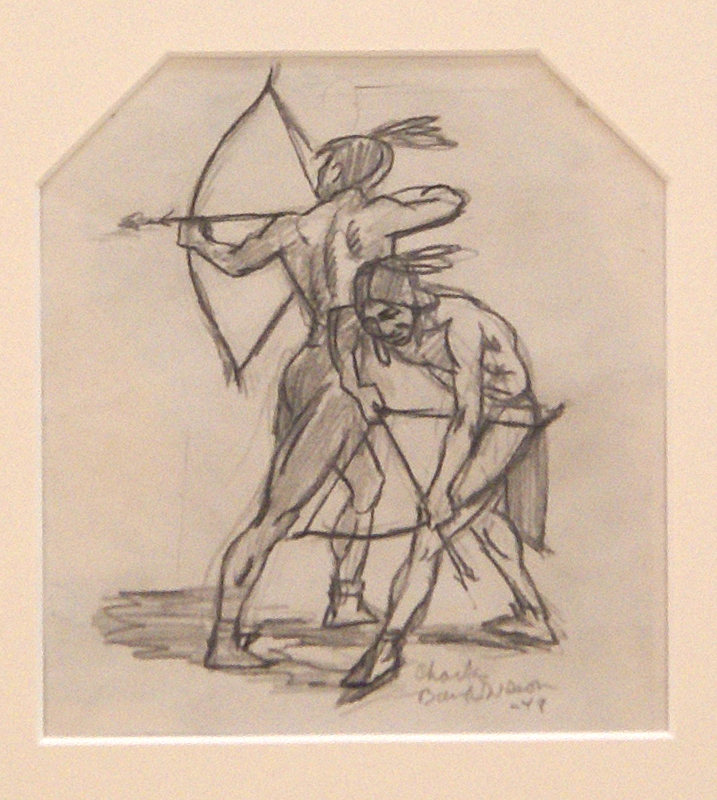 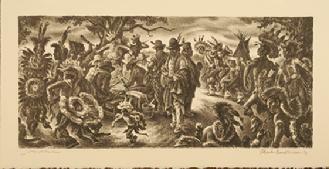 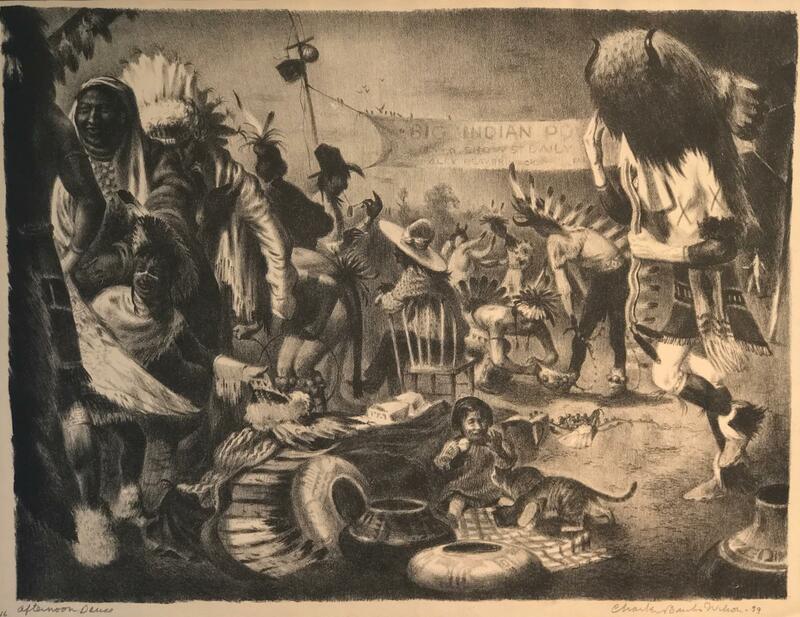 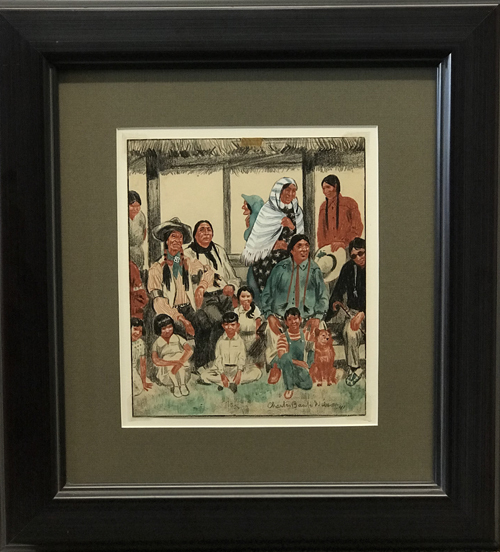 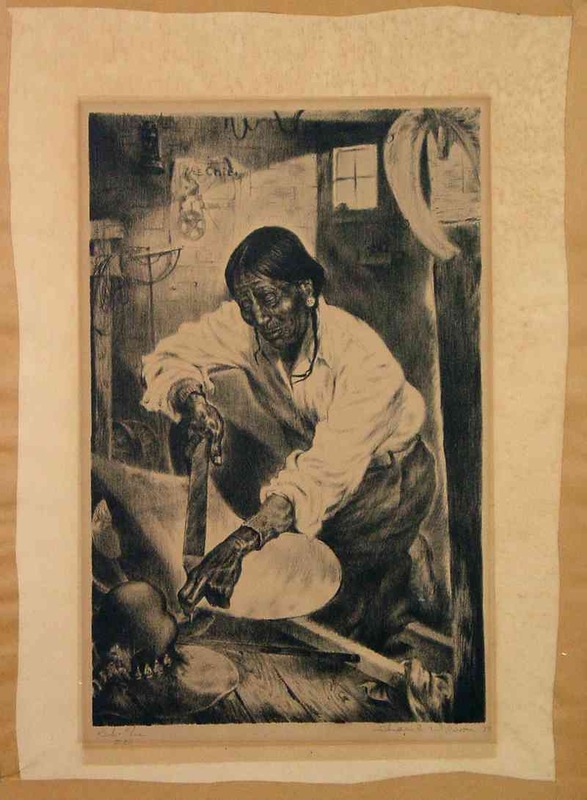 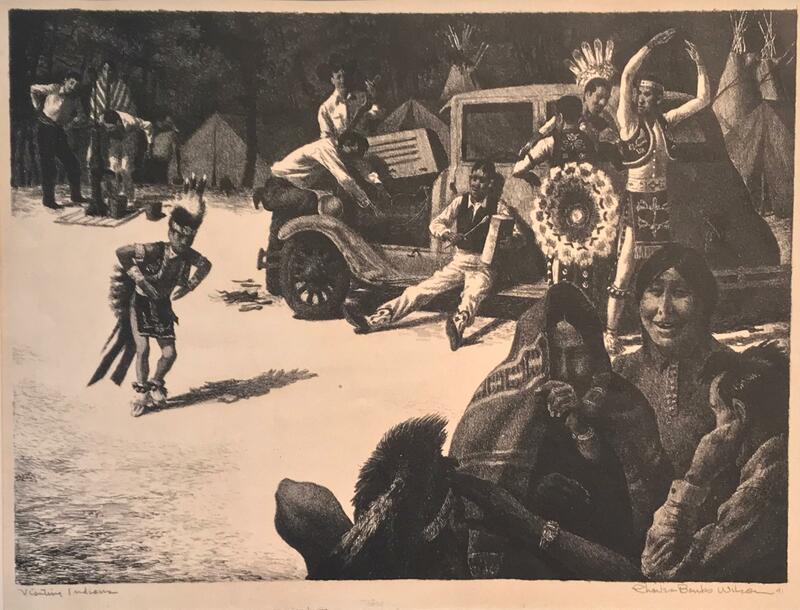 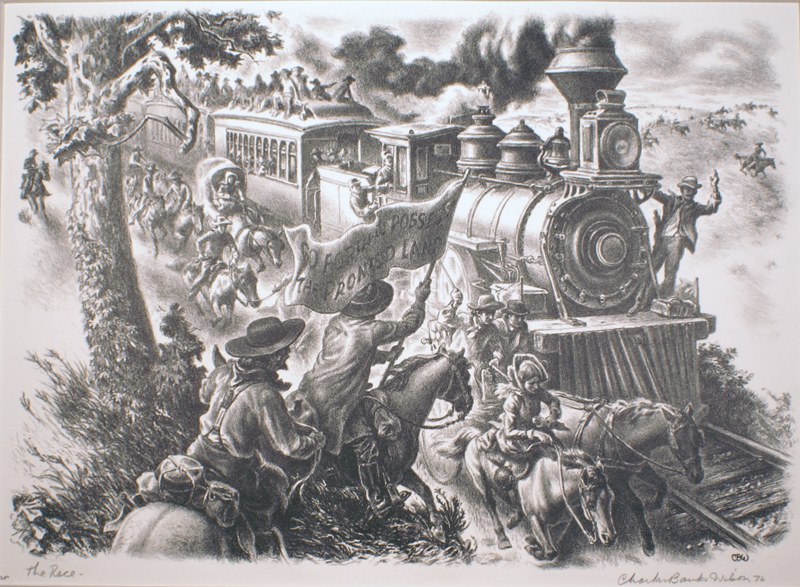 Charles Banks Wilson (OK/AR, b.1918) "Shawnee Indian Cooks" 1953, Lithograph, Call for availabiliy.